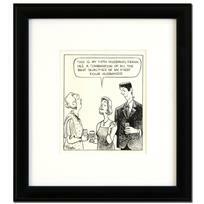 Bizarro! 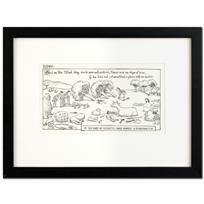 "The World's Greatest Pickpocket" is a Framed Original Pen & Ink Drawing by Dan Piraro, Hand Signed by the Artist with COA. 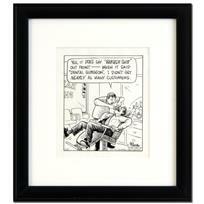 Bizarro - "Barber Shop" is a Framed Original Pen & Ink Drawing, by Dan Piraro, Hand Signed by the Artist with COA! Bizarro! 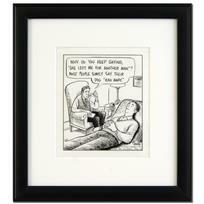 "Baby Therapy" is a Framed Original Pen & Ink Drawing by Dan Piraro, Hand Signed by the Artist with COA. Bizarro! 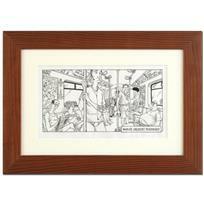 "She Left Me" is a Framed Original Pen & Ink Drawing, by Dan Piraro, Hand Signed by the Artist with COA. 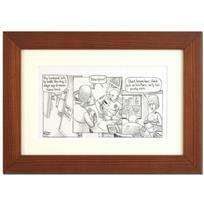 Bizarro! 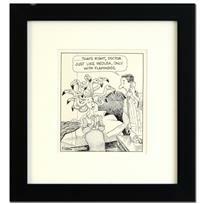 "Franken-Husband" is a Framed Original Pen & Ink Drawing by Dan Piraro, Hand Signed by the Artist with COA. 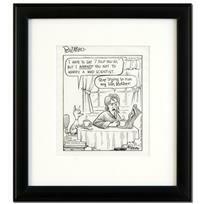 Bizarro! 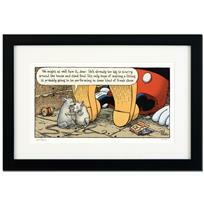 "Mickey's Parents" is a Framed Limited Edition Hand Signed by creator Dan Piraro; Numbered with COA. 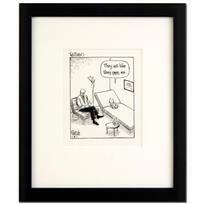 Bizarro! 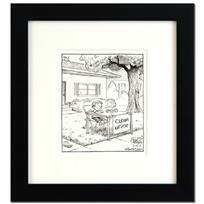 "Missing" is a Framed Original Pen & Ink Drawing by Dan Piraro, Hand Signed by the Artist with COA. 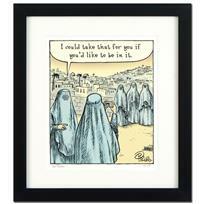 Bizarro! 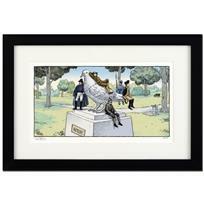 "Pigeon Statue" is a Framed Limited Edition Hand Signed by creator Dan Piraro; Numbered with COA. 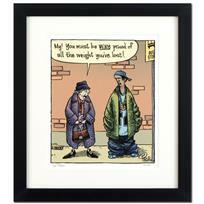 Bizarro! 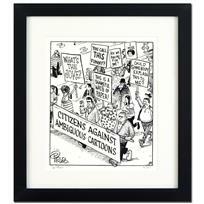 "The Stand" is a Framed Original Pen & Ink Drawing, by Dan Piraro, Hand Signed by the Artist with COA. 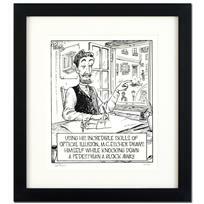 Bizarro - "Mad Scientist" is a Framed Original Pen & Ink Drawing by Dan Piraro, Hand Signed by the Artist with COA! Bizarro! 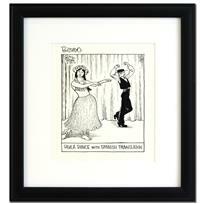 "Hula Dance" is a Framed Original Pen & Ink Drawing, by Dan Piraro, Hand Signed by the Artist with COA. 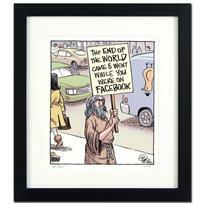 Bizarro! 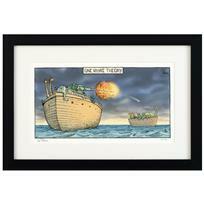 "One More Theory" is a Framed Limited Edition Hand Signed by creator Dan Piraro; Numbered with COA.